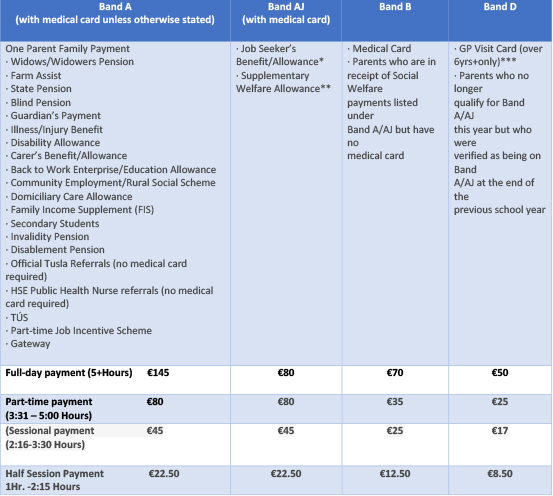 The Department of Children and Youth Affairs pays for a portion of the childcare costs for eligible children, with the parent paying the remainder. The CCS is only available through participating community not-for-profit childcare services. The service provider submits an application for CCS on behalf of the parent. CCS subvention is available for 52 weeks of the year. CCS services may cater for infant, pre-school and afterschool places. They may also incorporate a breakfast club. Some CCS services may be standalone services and cater for just one type of service e.g. afterschool. A child must be under 15 years of age to be eligible for the 2017/18 CCS programme. A child will not be eligible if they are enrolled on any other DCYA childcare programme. The Community Childcare Subvention Plus (CCSP) provides support for parents on a low income to avail of reduced childcare costs at participating privately owned childcare services and at community not-for-profit childcare services. The Department of Children and Youth Affairs pays a portion of the childcare costs for eligible children, with the parent paying the remainder. The eligibility of the parent is determined by their status with the Department of Social Protection and is set out on our table below. Interested parents should contact us at 057 86 61029. A child must be under 15 years of age to be eligible for CCSP, that is, the child must be born on or after 1 September 2002 to be eligible. CCSP subvention is available for up to 52 weeks of the programme year. CCSR is intended to support the Programme Refugees (PRs) in their resettlement and integration into Irish society. It enables parents to attend a language and orientation course within their reception centre for eight weeks and then a full year following their move into the community. Participating pre-school going children must be between 0 and 5 years old on their start date. School-aged children (between 6 and 12 years) can access childcare for the primary school holiday periods only. 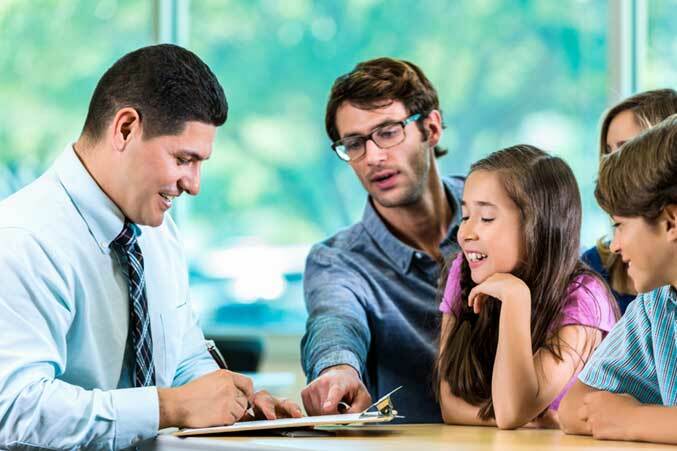 Parent/s must supply a completed eligibility letter submitted and signed by the Department of Justice and Equality. Part-time places (between 3hrs 31mins and 5hrs) are provided under the CCSR programme. CCSR(T) provides access to free childcare for children of families experiencing homelessness. The provision provides subvention for all pre-school children, including those of ECCE eligible age range aged 0 to 5 inclusive. The scheme is also designed to help those transitioning from homelessness to permanent accommodation. CCSR(T) is only available through participating early years services. To apply for CCSRT A verification letter from Focus Ireland or from a local authority is required.. In order to confirm eligibility, both the Parent’s and Child’s Personal Public Service Number (PPSN) are required, as well as the child’s date of birth.